The Longmont Chorale is a nonprofit 501(c)3 organization, based in Longmont, Colorado. Your donation is tax deductible according to applicable tax laws. Below you’ll find information on advertising, sponsorships, and volunteering. Your donation helps us to keep bringing great choral music to life in our community. Since we are a 501(c)3 nonprofit organization, your donation is tax deductible according to applicable tax laws. Sponsorships are an opportunity for your business to show community involvement while you gain advertising exposure. Explore your opportunities to advertise in our next printed program. Your advertising dollars support the performing arts in Longmont! Our volunteers give their time, effort, and talents so we can keep singing for our community, and we are very grateful for their kind support. 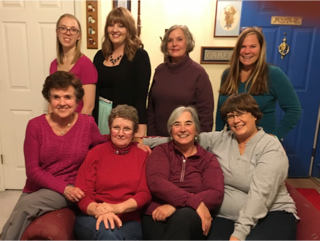 The Longmont Chorale Guild, a community-based group, helps to organize and support Chorale functions benefiting our singers, our audience, and our community. Are YOU 1 of Our 100? Now Through the end of the 2018-2019 Season! Two of our generous donors will boost the first 20 donations of $100 or more with an additional $100! We hope you’ll take advantage of this offer from our donors & have your donation boosted by an additional $100! When you donate through ColoradoGives.org or through our website from Dec. 5 to Dec. 31, your donation of $100 or more can have an additional $100 added to it. You can schedule a donation through ColoradoGives.org for any date. 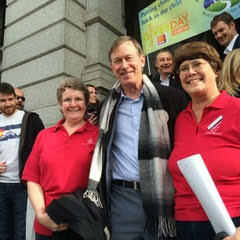 ColoradoGives.org is open year-round. Please donate $100 or more from Dec. 5 through Dec. 31 for your gift to be eligible for a $100 boost! Question: Are YOU one of our 100? The Longmont Chorale brings great choral music to our community and the surrounding area! We’re raising funds to support the Chorale and build our donor base. 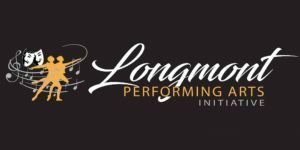 Your donation of $100 or more this season keeps Longmont singing! Your donation is tax deductible according to applicable tax laws. Donate through the PayPal buttons on this page or at ColoradoGives.org, which is open year round. Every donation helps, so please give at the level that works best for you! Your financial support is critical to the Longmont Chorale’s mission to bring great choral music to our community. Our 100/100 Campaign is Open Only Until May 15! All donor levels of $100 and up may choose to have the donor’s name or honorarium in our printed concert program and listed on our website as well as receive the optional thank-you gifts listed below. These donor levels will also receive a donor badge image for use on social media to help spread awareness of the Longmont Chorale. *The Longmont Chorale is an official 501(c)(3) nonprofit organization. Your donatation is tax deductible according to applicable tax laws. How is the Chorale Funded? The Longmont Chorale is operating on an annual budget of approximately $80,000. Our budget rises as your support allows us to meet the ever-increasing costs of performing for our community. Without your support, we would be completely unable to provide choral music to the greater Longmont area. We appreciate your generosity and invite you to craft a gift of your own. Will you consider giving monthly to the Longmont Chorale? Choose a monthly donation level using the button below. Make sure to specify that this is a recurring gift in checkout. BECOME ONE OF OUR DONORS TODAY! You’ll back the Board’s scholarship program, enabling low-income members of our community to sing with the Chorale. Corporate sponsors provide a source of vital support to the Longmont Chorale. Additionally, our sponsors demonstrate their community leadership through supporting the arts. Sponsorship is a very valuable marketing opportunity, prominently putting your company’s name in front of our audience. Be seen as a leader in our community through your support of the performing arts – sponsor the Longmont Chorale today! Please use this form to contact us about your corporate sponsorship. The above are suggested amounts for some of the Chorale’s expenses. Contact us today to craft your own sponsorship opportunity. We value and seek your support of our upcoming season, ensuring the success of this season’s wonderful, live, choral music performances. Your ad will appear before 2000-3000 local patrons in our full-color programs all season. Each advertiser also receives one pair of concert tickets for each of our major concerts in October, December, March, and May. We are able to offer light graphic design help at an affordable rate, with limited availability. Our volunteers keep us singing, and we are so grateful for their support! Won’t you join this group of great people? Below are some of our current volunteer openings. You need not be an active member of the Chorale in order to volunteer with us. The Concert Slide Operator runs PowerPoint presentations before, during, and after our concerts and at intermission. All presentations are provided, as is a computer for use at the concert. The Operator will need to advance lyrics slides and other relevant slides in time with the performances. The Concert Slide Operator must attend at least the two rehearsals immediately preceeding the concert in order to practice synchronizing the lyrics slides as the Chorale rehearses concert pieces. Rehearsal tracks are also available for practice. Help our Librarian with music returns and assembling music folders for our members. You’ll help manage one of the largest choral music libraries in Colorado! Learn more about Guild membership by scrolling down to the Join Our Guild section of this page. You’ll help setup risers before dress rehearsals and concerts, and help tear them down afterwards, too. Risers arrive at our performance venue in a trailer and must be wheeled into and out of the building. We are looking for a back up Riser Wrangler Coordinator, too. Staff the ticket tables at our concerts, where you’ll handle door sales via cash, check, or charge. You can also help distribute tickets to our members at rehearsals for sale. You’ll gather any tickets not sold by our members to be sold at the door. The Board of Directors is open to members of our community. Our full Board meets monthly about ten times per year, with a few committees meeting occasionally in between. Ours is a working and governing Board. This is a great way to make a big difference in our community’s performing arts scene. Please use the form below to discuss becoming a Board member with us. We have many volunteer opportunities, many ways for you to give your time and talents toward supporting the Longmont Chorale. One-time tasks and more regular roles are available at any time. Use this form to contact us about the volunteer positions you see above and discuss how to find the best fit for your skills and background. The Longmont Chorale Guild, a community-based group, helps to organize and support Chorale functions benefiting our singers, our audience, and our community. It is tasked with providing exciting, fresh ideas for supporting the Longmont Chorale and our community. As the Guild moves forward, we welcome new members from the community, particularly non-singers. The Guild needs your energy, your creativity, and your talent to assist in the planning and presentation of these memorable events. Since its inception, the Guild is very proud to have donated over $34,000 to the Longmont Chorale. If you, or someone you know, would enjoy being part of this energetic community organization, please contact Kathy Pirie, Guild President, using the form below.